Want to book an appointment or leave some feedback? Got a flair for hair? Want to join our friendly, expanding team? Oasis for Hair have a position available for a full or part-time hair stylist. Top wages paid for the right person. For more information please call Laura on (02) 6288 1535. 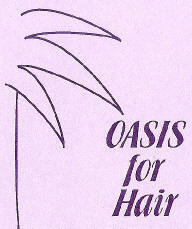 Tell us what you think about OASIS for Hair. At OASIS for Hair we constantly strive to ensure you get the most professional hair care available. We welcome customer feedback and believe our service is only as good as it is because we listen to what our valued clients say about us. We're not perfect, but we always strive to be! If you have something to say about the OASIS for Hair website (perhaps there are things you would like to see added to the site) simply fill out the form below. We also welcome any feedback on your visit to our salon. Again, the more we can learn from our valued clients the better our service can be. Don't be shy, we welcome any comments! 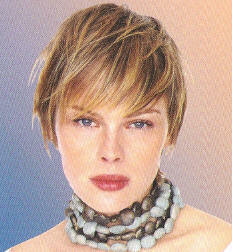 Thank you for visiting the OASIS for Hair website. We hope to see you at our friendly salon soon. Please Note: We endeavour to check our emails daily but, if you are using this form to book an appointment at short notice, it would be advisable to contact us directly on (02) 6288 1535. Please feel free to provide any comments or suggestions on OASIS for Hair in the space below.